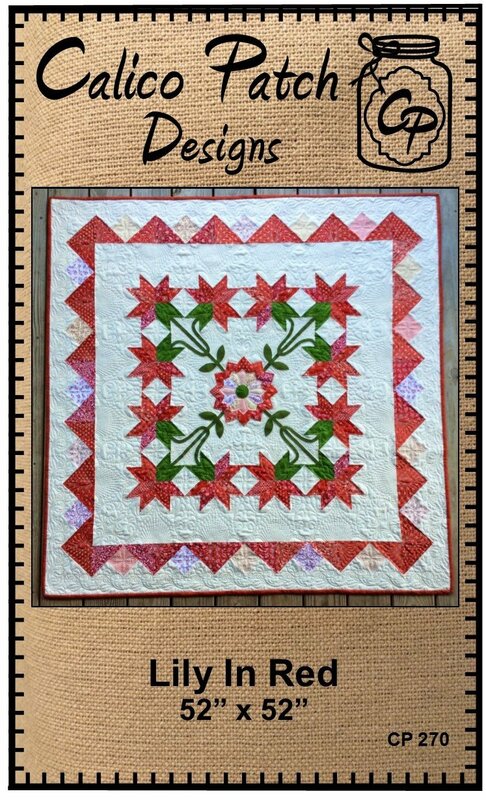 Lily In Red 52” x 52”, Kit includes Pattern, wool, and fabric with binding. No need for pots and soil. This antique traditional pattern is based off the Carolina Lily and is one of my favorite. The best part is these blooms last year round.